Youngstown State University head coach Bo Pelini uttered those words to best describe the loss. No. 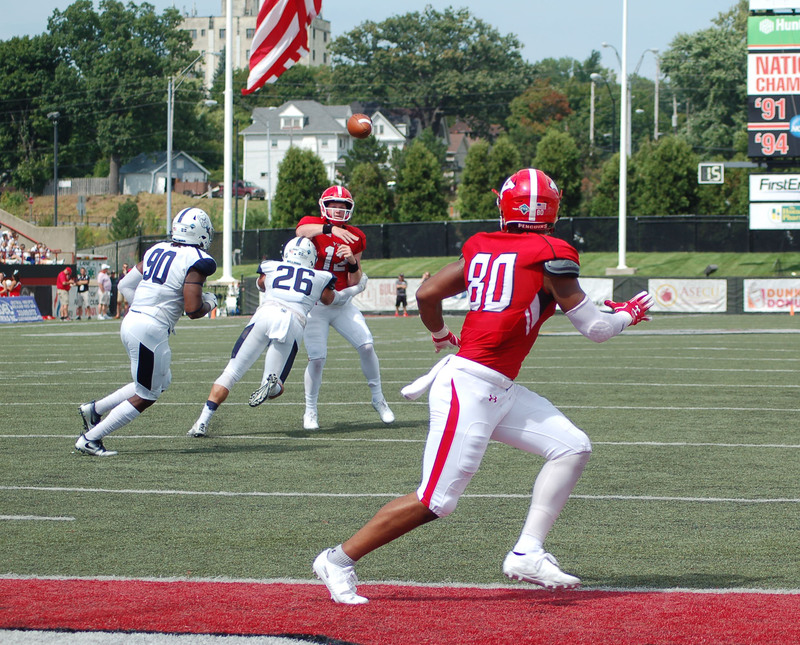 24-ranked YSU lost a shocking contest to the Butler University Bulldogs, 23-21. According to vegasinsider.com, YSU was favored by 37 points right before kickoff. The loss snapped a 23-game home opener win streak dating back to 1995. “When you don’t, regardless of who you’re playing, you’re going to have these results,” he said. Penguins tailback Tevin McCaster put together an impressive performance. He rushed for 166 yards, just shy of his career high of 183. McCaster averaged 5.7 yards per carry. Penalties proved to be fatal for the Penguins as two massive plays were called back. The first was a 68-yard rush by McCaster and a touchdown rush by Christian Turner. Montgomery VanGorder shined in his debut, completing 18 passes on 27 attempts with 0 interceptions. VanGorder threw for 234 yards with three touchdowns and wasn’t sacked once. The game was tied at halftime, 7-7. YSU started the third quarter hot. YSU ended the quarter with two quick touchdown passes from VanGorder to Samuel St. Surin and Kendric Mallory, respectively. The fourth quarter was a different story. The Bulldogs closed the gap early in the fourth with a 6-yard strike from quarterback Will Marty to Pace Temple. With momentum on their side and one minute on the clock, the Bulldogs scored once more. A Marty touchdown pass to Sam Yeaton pulled the Bulldogs to within one at 21-20. Butler made a gutsy two-point conversion call but the Penguins stopped Marty in his tracks, forcing the Bulldogs to attempt an onside kick. The Bulldogs didn’t have luck on their side for the two-point conversion, but that changed on the onside kick. The ball found Pace Temple’s arms to give the Bulldogs one last shot at the victory. Despite missing a field goal in the third quarter, Butler head coach Jeff Voris was confident in his kicker’s ability. The ups and downs of kicking hit the Penguins hard, as kicker Zak Kennedy went 0-for-2 on field goal attempts. 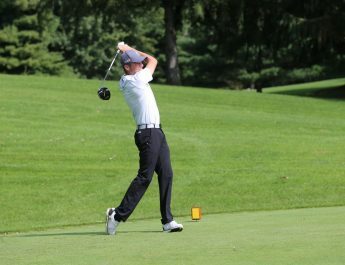 The Penguins have a hard road ahead when they face West Virginia University in Morgantown. Smith made a promise to the entire program as well. YSU faces West Virginia on Sept. 8 at 6 p.m. at Milan Puskar Stadium in Morgantown, W.V.